I think we all have recognized the moment that burlap is experiencing right now. 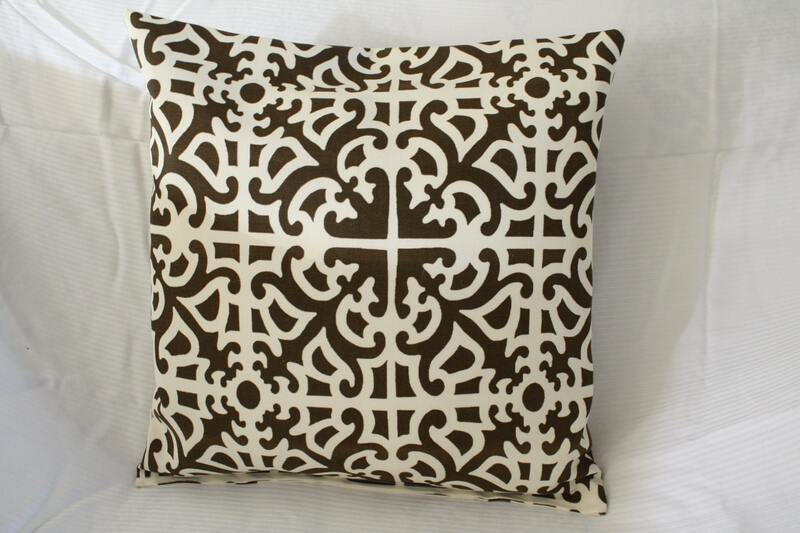 I personally sell custom pillows that feature initials, monograms and numbers. 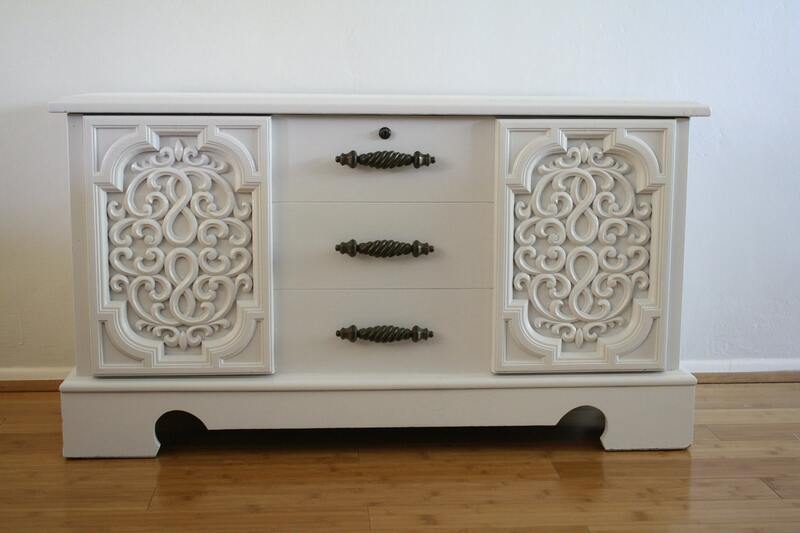 I am also planning to make a headboard for my master bedroom, but that is next month's project! My darling mother receives old coffee burlap bags from a friend, mostly to use for her garden and planting. Before Christmas, I noticed the great vintage picture and writing on the extra-large sack, and asked if she could collect a bag for me… Well, as you know, mothers always come through, and on Christmas Day, instead of a wrapped gift under the tree, I found a burlap wrapped present. Thank you, Mamma! I purchased a large frame from Michael’s, (on sale for $6.99! 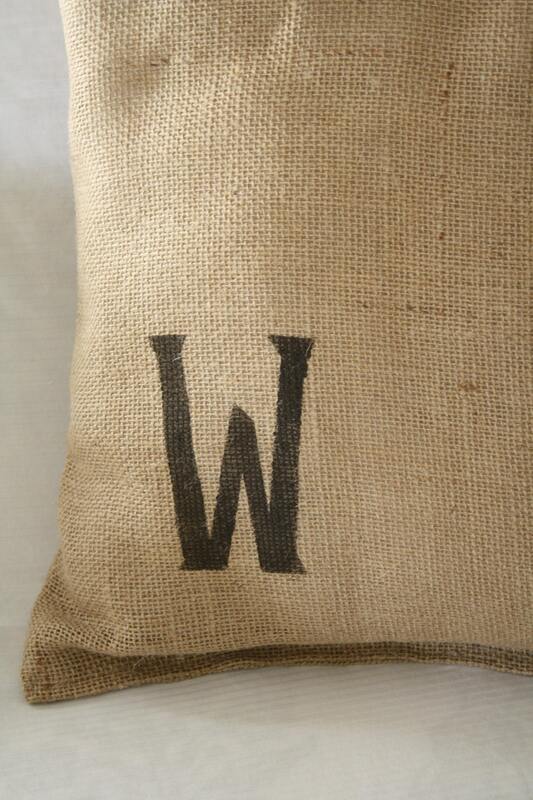 ), and cut the burlap bag down to size. I wanted to make sure to use the picture from the front, and the lettering on the back, so I cut around each edge to separate the pieces. I made sure to iron any wrinkles and used my level to measure out the correct proportions for the frame(s). If you have ever dealt with burlap, you know that it is not always easy to cut a straight line on the coarse material, so this step was essential. (I will share the lettered frame tomorrow). For now, take a peek at this easy how-to and let me know what you think of this impromptu art! Just put cutout in the frame and instant art! That's right! My chandelier! And I got it for free! I don't know how my sister came about owning such a whimsical piece, but I believe the chandelier was handed down to her as well. So today, Husband's birthday weekend at that, I feel lucky! I hope everyone has a great weekend! Remember when I painted this island brown? Well, I loved that glossy brown color, but after much consideration, I found that the piece was just not fitting in with our kitchen décor. We are still remodeling, updating and changing this area, so I am sure there will be more mistakes, trials and updates, but this past weekend, I just could not take it anymore! I decided that that little island had to be re-painted white. Besides the wood cabinets, I just do not have any brown accents in the kitchen, and frankly, was just not feeling it. Does anyone else ever have a change of heart? I started off by sanding the island and then primed and spray painted. I then finished off with four coats of Polycrylic Spray. 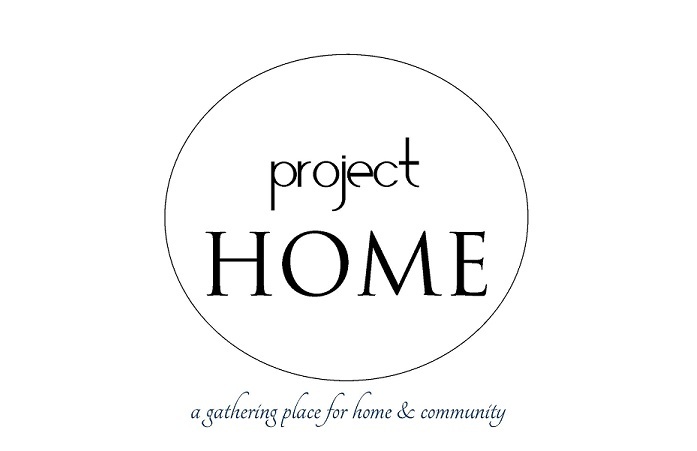 I am so excited to announce that Project Home has officially opened a store on Etsy! It felt like forever, but these beauties finally made it online, and I hope that you like them as much as I do. 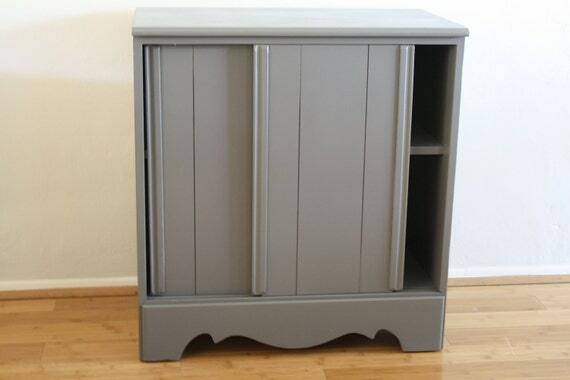 Each piece has it’s own story and unique lines, but all are well made refurbished pieces. 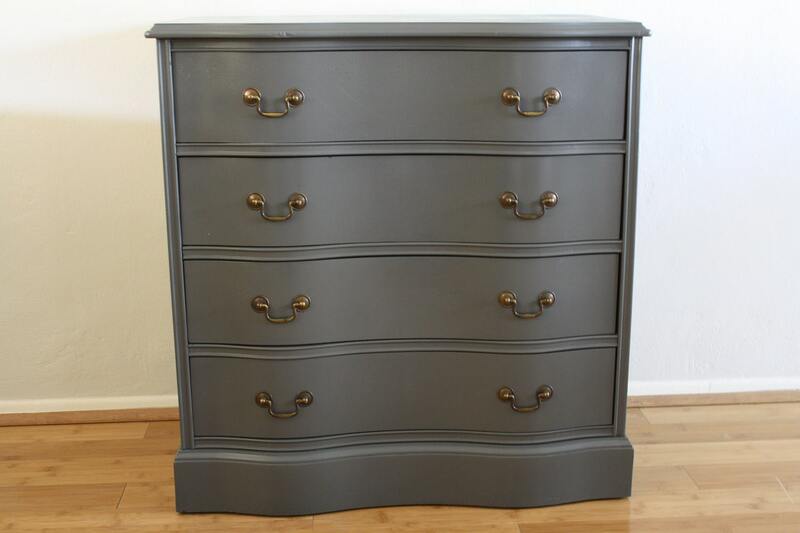 It’s so exciting to see furniture that was once aged and worn given another chance to bring distinctiveness to a home. 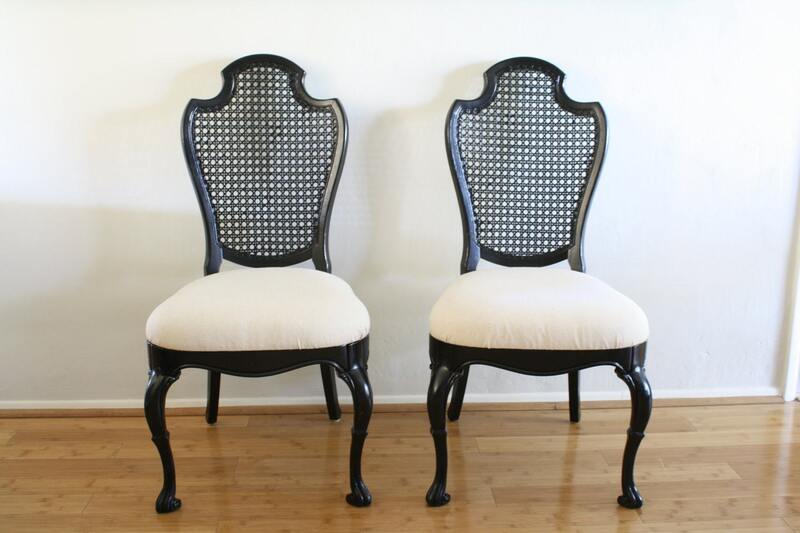 Be sure to check out these special pieces! So far, I have not shared many photos of our kitchen, mostly because it is still quite unfinished. We have half of the backsplash completed, but we still have one wall that we are waiting to tile. The plan is to replace the window with a much larger version, so until then, we have to hold off on finishing that wall. For now, I decided to hide the fact that we have a wall with missing back splash, by adding open shelves. We picked up the wood and hardware at Home Depot. I cut the wood down to the desired size, then I sanded and spray painted the boards white, and we added the brackets. The metal rods and baskets were purchased from Ikea and are great for spices, glasses or just little knick-knacks. I love how the shelves are varied, but still classic, while still allowing room to open and close cupboards. You can see the difference between the walls here! I love open shelving. There is something rustic, yet traditional about this growing trend. It reminds me of an old French kitchen, or the classic lines of a vintage galley. I believe that is really a cheap and easy way to update your kitchen. We have quite a few open shelves in our kitchen, (which I will be sharing photos of later this week), but what do you think of this fad? Is this simple decor here to stay? After viewing these photos, I kind of think that the answer is a yes!